Channel 4's successful weekend programme Sunday Brunch will be rolled out across the week in a new format known as Daily Brunch. 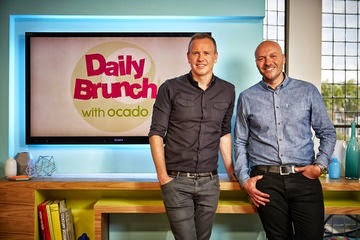 Sunday Brunch hosts Tim Lovejoy and Simon Rimmer will present the weekday extension of Channel 4's Sunday morning flagship show. Sponsored by online supermarket Ocado, the series will provide a mixture of celebrity guests, delicious recipes as well as a number of regular items that will be familiar to fans of the Sunday show.